Eros and the Eschaton's bubbling track “Heaven Inside” captures something close to—if not exactly—all of the ending, emotional scenes of boy-meets-girl movies. It is hefty on the melodrama and shines brightly with a musical companionship and romance that could only really be achieved by a husband-wife duo, which EatE is. With tones that sound as dense as Slowdive, and vocals that callback to No Joy's first record, there's a dreamwavy shoegaze expertness here that builds and bubbles with generous nuance. Heady though it may be, the end cleanses with its crystal clear singular guitar as it washes the rest of the sounds away. 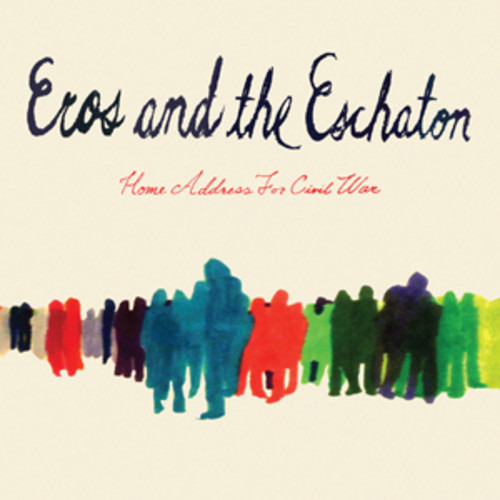 Eros and the Eschaton have a record coming out on Bar/None records called Home Address For Civil War. You can pick that up here on August 13, then check out the Greenboro band at their show at Shea Stadium on September 13.